Saints join chase for Gunners target. 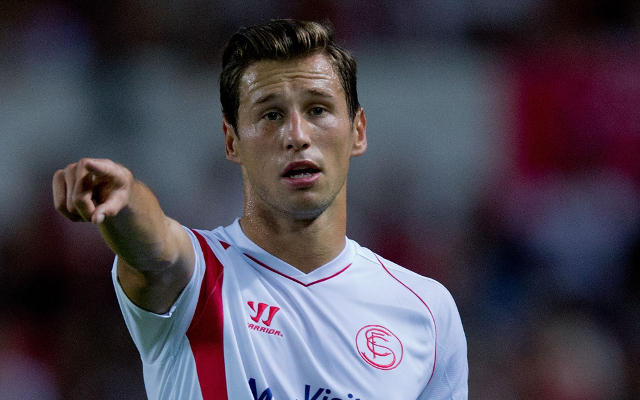 Southampton are the latest club to be linked with a bid to sign Sevilla midfielder and rumoured Arsenal target Grzegorz Krychowiak this summer. The Saints may be about to lose Morgan Schneiderlin to Manchester United this summer, and it could be that the £22m-rated Polish international is being eyed as his replacement. According to the Daily Mirror, Southampton are big fans of Krychowiak and are ready to pay up for the in-form La Liga man, who really caught the eye with some commanding displays in Spain this term. The 25-year-old has a release clause in his contract that will allow him to move for £22m, and that looks a good price to pay to replace the hugely important Schneiderlin at the St Mary’s Stadium.